What’s this GoPro stuff about? For the uninitiated who might not have heard of GoPro cameras, the first thing you should know is that they are single-handedly ushering in a user-generated content revolution on top of the Web 2.0 user-generated content revolution, already underway for the past several years. The idea for GoPro came to Nick in 2002, while he was on a surfing trip in Australia. He wanted to capture some of the surfing action, but he realized that it would be pretty difficult to do so because photographers could not get close enough to the action, and top-quality portable camera solutions were quite pricey at the time. In classic entrepreneurial form, Nick recognized an opportunity for a business venture and GoPro was born. As of now, the company is the fastest growing camera company in the world, and its rampant sales have resulted in $2.2 billion in revenue for the company, with Nick controlling a majority stake worth an estimated $1.3 billion, according to Forbes. While it’s safe to say that Nick is the runaway success story of the moment, that wasn’t always the case. 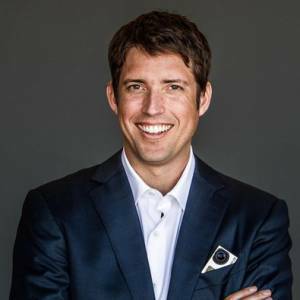 The first business transaction that helped shape Nick Woodman’s current success was actually a failure that happened during the early Noughts. “I feel like I went through the Great Depression,” Nick told Inc.com in early 2012. “All these companies are being successful around you, you’re on that track, and then the market collapses, and you’re out of a job. You’re trying to save your investors’ investment, and it doesn’t work, and you sell the company for nothing. It was brutal,” he continued. In 2002, Nick was an out-of-work entrepreneur whose first venture, a marketing company called FunBug, had failed in the wake of the burst of the Dotcom Bubble. That business might have been over, but Nick had enough funds to do some traveling. The subsequent soul-searching sojourn that he took led him to the Philippines and Australia to do some surfing. While riding the waves in Australia, Nick came up with the idea of using a rubber band to strap a 35mm camera to his wrist. While the results of this crude experiment were undoubtedly mediocre, Nick made up his mind (before he’d even left Australia) to start a company that would expand on the idea. To make ends meet during the early days of GoPro, Nick supported himself (and the fledgling company) by selling bead-and-shell belts for $20 each out of the back of a Volkswagen van (isn’t that some kind of rite of passage for California entrepreneurs?). Soon after came a successful business proposal of the familial sort. Nick managed to secure a $35,000 investment from his mother, who was sufficiently impressed with Nick’s idea. Nick’s early funding of GoPro got serious when he was able to secure funding from some major Venture Capital partners, including the successful tendering of business proposals to Disney-affiliated Steamboat Ventures and Sageview Capital, among others. 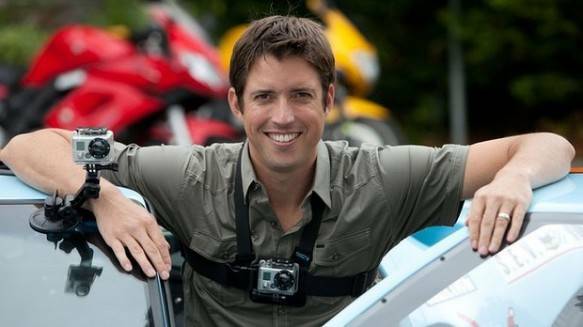 With some real money behind his vision, GoPro’s first camera product hit the market in 2005. That initial offering was a 35mm camera, dubbed the HERO – a moniker that has stuck with subsequent models – which included a wristband. The modest camera was aimed at outdoor sports enthusiasts, was durable, and reusable. That camera gained notoriety by way of another business proposal – this one with the television shopping network QVC. Nick managed to forge an agreement to sell his cameras on QVC and even appeared on the network several times in 2005, acting as spokesperson. Nick also appeared in print ads and billboards as GoPro’s “model” in the early days of the company. With Nick as the sole employee for the first few years of GoPro’s existence, the company was immediately profitable. Since its earliest models, GoPro’s HERO cameras have evolved to incorporate new technologies in great leaps. It wasn’t long before the first-generation of film cameras were replaced with digital models. In 2011, GoPro’s next business proposal led to the purchase of CineForm, a video codec that enables easier 3D video editing, which helped facilitate the HERO 3D-caputure system shortly thereafter. In 2012, the next business proposal to affect GoPro’s came when Foxconn agreed to purchase an 8.8-percent stake in the camera company, leaving Nick as the primary stakeholder in the company. By the latter part of that same year, GoPro’s revenues had eclipsed $500 million. That’s an impressive number in its own right, but the year to follow would prove to be an explosive one, leading to Nick’s addition to the list of the world’s billionaires in 2013, on the wings of revenue blossoming to more than $2 billion. Not only do GoPro’s cameras go where you do, helping you capture action shots in a way that wasn’t possible before the company’s came into existence, but its products are also everywhere you shop. While out on my Black Friday shopping, I found monumental displays of GoPro products (generally, picked to the bone by early shoppers) in every big-box retail establishment I went to. With a media storm around the brand, all signs point to this holiday shopping season thrusting GoPro and its founder, Nick, into further riches. And that’s before we visit YouTube, where a growing number of videos tagged “GoPro” represent a new kind of cultural currency, one that Nick and Co. are keenly aware of. “We spent a lot of time recently thinking about, what are we really doing here?” Woodman was quoted by Inc.com. But it’s been a long time in the making. It took rising from the ashes of an early failure to put him out on the open waves for inspiration to strike. After the initial conception of the GoPro idea, Nick fixed his focus singularly on making it a reality. From that point onward, much like Elon Musk benefited from a string of successes in his own right (well, until recently), it has all been onward and upward for Nick. Where are you at on your entrepreneurial journey? We’d like to know about all you rising business superstars out there, so drop us a line in the comment space below.